This is the place to be if you are looking for a resource that provides employment background checks in NYC. Michael McKeever is the driving force behind our agency. He is a highly educated private investigator that has been serving New York clients for years. Michael represents the third generation of his family to work in the investigative field, so it is fair to say that it is in his blood. Our agency has always stayed ahead of the curve when it comes to emerging technology. We use high-tech tools and cutting-edge techniques to obtain information in many different ways. This definitely applies to our employment background checks. There are some types of jobs that involve very sensitive activities, and it is obvious that background checks should be conducted in certain fields. These would include law enforcement, aviation, security, and executive positions that involve high-level financial decision-making. 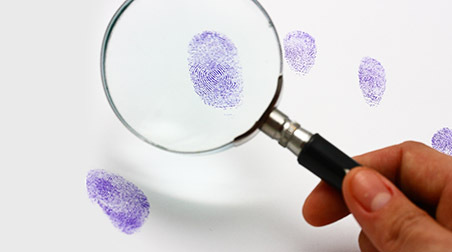 At the same time, background checks can be beneficial for all different types of employers. If you are going to be hiring someone that will be handling money on an everyday basis, you should certainly conduct the appropriate background check. This is also true when you are hiring people that will be driving company vehicles. Individuals that will be given access to valuable inventory should go through the appropriate vetting process as well. When you think about employment background checks, criminal history is probably going to come to your mind. This is certainly an important aspect, and we thoroughly search for felonies and misdemeanors when we conduct our searches. However, this is not the only way to assess the character of candidates. Our employment background checks can bring back financial information. We can conduct a credit check and look for any red flags that may exist, like bankruptcies, foreclosures, garnishments, and liens. This is important because there can be significant temptations at work when someone is in deep financial trouble. Short of this, if a candidate is not responsible enough to manage his or her own finances effectively, this flaw could spill over into the workplace. The Michael McKeever detective agency is the wise choice for discerning people that are looking for employment background checks in New York City. If you are ready to reach out, we can be reached by phone at 212-226-0358.